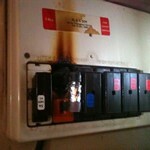 Electrical faults are a health and safety hazard and could be putting your life in danger. Whether in the home or work environment, electrical faults put people at risk of electrocution and electrical fire. A.A. electricians are highly skilled in the practice of electrical fault finding and will locate your fault quickly and with minimal disruption to your routine.Problems must be solved by replacing only defective equipment or components in the least amount of time. One of the most important factors in doing this, is the approach used. An expert troubleshooter uses a system or approach that allows them to logically and systematically analyze a circuit and determine exactly what is wrong. Firstly we design and implement a fault location strategy, and then we explain the fault diagnosis and circuit system fault to you in full detail. If you have an open circuit, short circuit or electronic system fault we will apply an efficient diagnosis and effective solution to the problem. Analyse the symptoms of the electrical fault(s). Determine the type of electrical fault: open circuit, short circuit, insulation breakdown. Design the most effective and efficient strategy to solve the problem. Explain to the customer in English, and not gobbledy gook, exactly what needs fixing and the budget required. 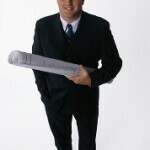 Carry out the work with minimal disruption to the customer’s environment. Don’t put your family or your staff at risk by ignoring electrical faults, call A.A. electrical services today and take action towards securing the safety of your home or work environment. All A.A. electricians are fully qualified in fault finding and fully insured in implementing suitable repair work.